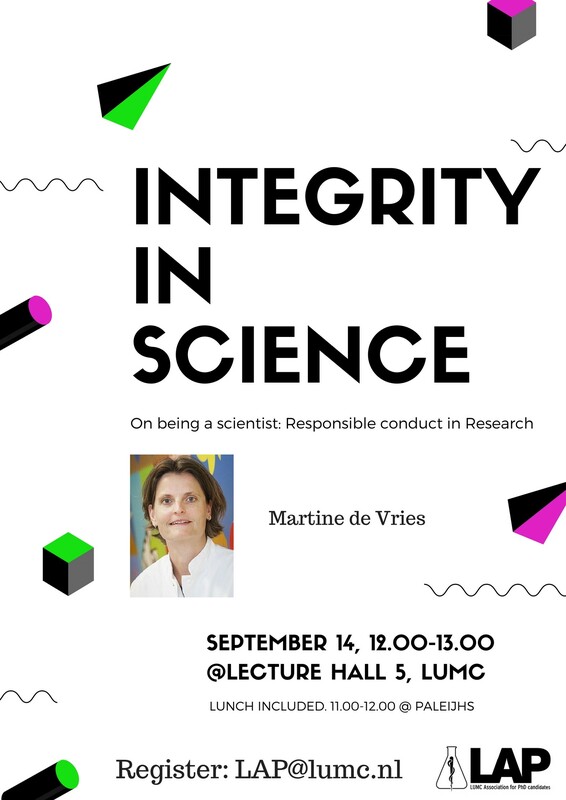 On behalf of LUMC Association for PhD candidates (LAP), we would like to invite you to the upcoming lunch lecture ‘ Integrity in Science ‘ by Martine de Vries. 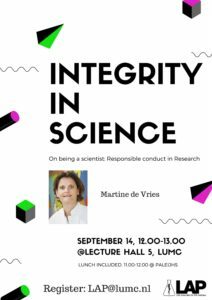 The LAP invited dr. Martine de Vries to give a lecture about integrity in science for all the PhD students at the LUMC. Dr. de Vries has a background in both medical sciences and philosophy, she is a pediatric endocrinologist and currently chair of the department of Medical Ethics and Health Law at LUMC. dr. de Vries is a daily supervisor of PhD-students, supervises medical students and residents in projects concerning therapeutic misconception, competence and research communication. 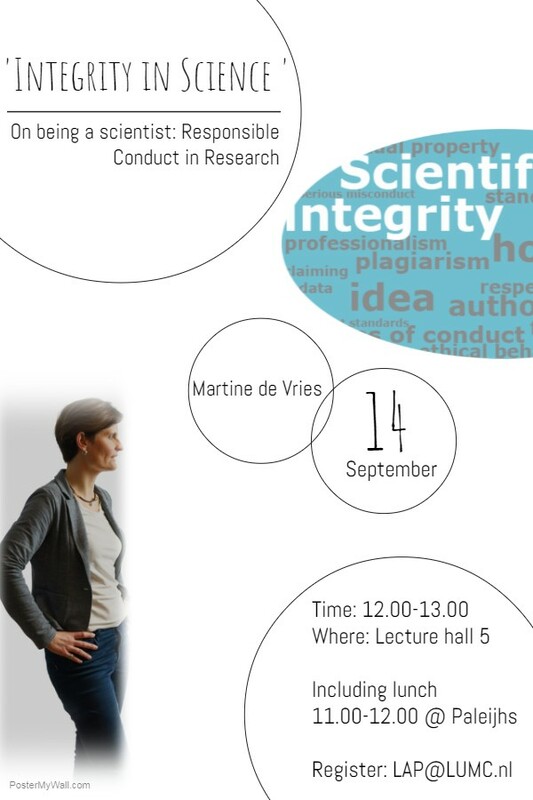 She will discuss the weaknesses in medical research, including data manipulation and publication bias. Attending is free of charge, REGISTRATION via LAP@lumc.nl. Previous PostInnovation for Health 2018 is looking for upcoming scientists! Next PostSurvey on the contribution of PhD candidates to Dutch university education.